HCM CITY – UK travel site Skyscanner has named HCM City among the best places to celebrate Tết (Lunar New Year), Việt Nam’s biggest and most important holiday. 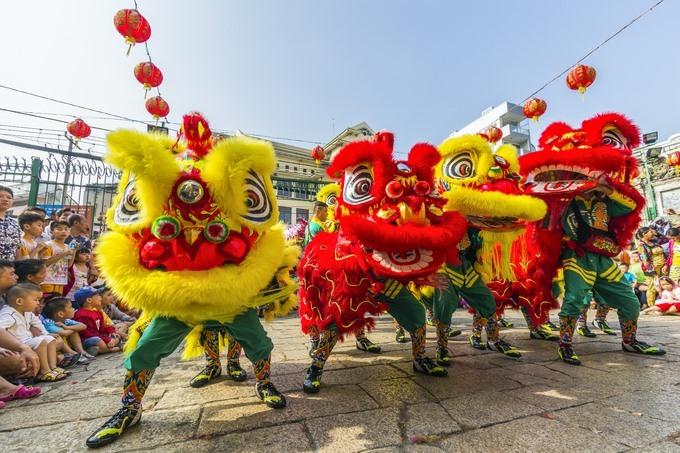 Skycanner, a Scotland-based travel fare aggregator and travel metasearch engine, has come up with a list of the 18 best places in the world to welcome the Year of the Pig, stretching from Bangkok to Australia’s Sydney. HCM City, Việt Nam’s largest metropolis, has won plaudits from the travel site: "The streets in HCM City are beautifully decorated with lanterns, flower displays can be seen all over the city, and you can enjoy special Tết treats such as bánh tét." Bánh tét is a Vietnamese savoury, but sometimes sweet, cake made primarily from glutinous rice, which is rolled in a banana leaf into a thick, log-like cylindrical shape, with a mung bean and pork filling, then boiled. The Year of the Pig this year begins on February 5 and Việt Nam’s government has approved a nine-day holiday from February 2 to 10.